Doctor Who is a great show, but let's be honest, it can be a bit intimidating to know where to jump in with a 55-year-old series. Luckily, I'm here to help! Let's start out with some history. 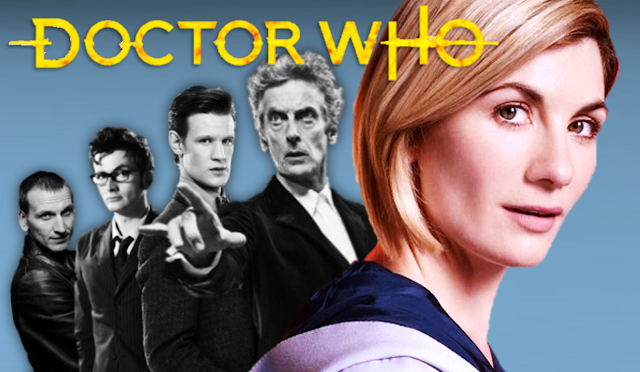 Doctor Who started in 1963, but was cancelled in the 80s and subsequently revived in 2005. It's been running ever since. I'm assuming you want to start with the revived show, called "NuWho" or "New Who," so this list covers that - I'll be posting one for the Classic Show soon-ish. If you want start by sampling a good standalone episode, Blink (series 3) and Midnight (series 4) would be good choices - especially Blink, as it’s a Doctor-lite episode, while Midnight is a companion-lite episode that works better in context. Other options...A Christmas Carol is quite splendid, and features Matt Smith. Mummy on the Orient Express is a decent Peter Capaldi episode in series 8. How to pick which point to jump in? The first thing you need to know about the show so far is it’s split into two segments - series 1-4 were masterminded by writer Russell T. Davies and feature Christopher Eccleston and David Tennant in the role of the Doctor. These seasons are uneven and a bit dated, but feature some of the show’s finest moments. While, theoretically, you could start at the beginning of series 2, 3, or 4 (Tennant's seasons), it could be quite difficult to keep up, so starting with series 1, episode 1 is a good idea. Series 10 is Peter Capaldi's final season as the Doctor, but it reintroduces the show to newcomers and has terrific production values. It isn't the greatest season of the series - in fact, it is generally quite mediocre, but the benefit is you'll only have one season to watch to catch up to Jodie Whittaker's Doctor. 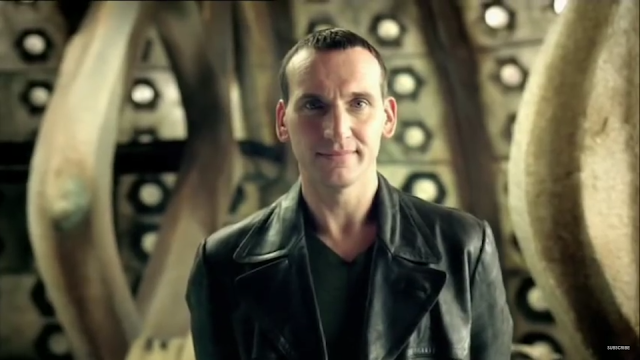 While the first season has its weak spots, Christopher Eccleston is highly underrated as the first reboot Doctor. He's charismatic and tough without being a typical brawny hero - he's smart without being soppy. And Billie Pipe is wonderful as everygirl Rose Tyler. Rose - Essential - This one is pretty essential. It introduces the Doctor, his first companion, and the premise of the show. A bit dated, but not a bad episode. Just roll with it; it gets better. The Unquiet Dead - Maybe - This one isn’t essential at all, but Simon Callow puts in a fun performance as Charles Dickens and there’s wacky supernatural stuff going on. I’m rather affectionate towards it. Aliens of London / World War Three - Skip - This two-parter features the first appearance of a very amusing recurring character, Harriet Jones, and some good stuff from Jackie Tyler and Mickey Smith, but it’s not enough to overcome some of the series’ dumbest villains: the Slitheen. Do, however, read the Wikipedia summary for both episodes here and here. Dalek - Essential - Re-introduces the show’s most iconic villain, and shows a new side to the Doctor. What really happened in the Time War? You get more hints. Fun fact: this episode is largely based on Jubilee, a classic Sixth Doctor audio story. The Long Game - Maybe - Some interesting world-building, a small tie-in to the finale, and guest appearance from Simon Pegg - good, not great, but enjoyable. Father's Day - Watch - While this one isn't essential for the plot, it is an absolutely heart-wrenching story focusing on Rose. A classic. The Empty Child / The Doctor Dances - Watch - More classics! 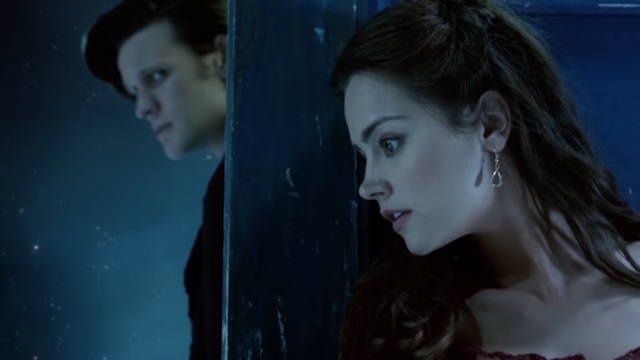 These episodes, the first to be written by the infamous Steven Moffat, are my all-time favorites in the show. Creepy, funny, intriguing, eucatastrophic - not dated at all - it's where the show hits its stride. It also introduces a great new supporting character, who's important to the plot from here on. It's very nearly essential, if just for his introduction. Boom Town - Skip - Has some fun bits with Jack and Mickey, but also the return of the Slitheen. Bad Wolf / The Parting of the Ways - Essential - It's the finale, so it's essential. Prepare a tissue box. I am not a huge fan of series 2, largely because I do not like Rose Tyler and Ten together. My watchlist will, therefore, be heavy on the skipping, but play it by ear - if you like them, as most do, you’ll probably want to watch more episodes. The Christmas Invasion - Essential - Not the greatest Christmas special ever, but you can’t skip it, for obvious reasons. 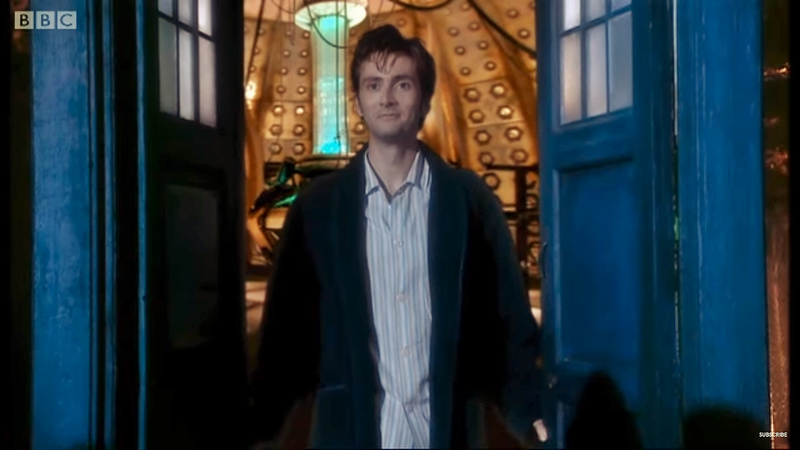 It introduces you to the concept of regeneration, and how all of that works, as Rose gets used to a new Doctor. 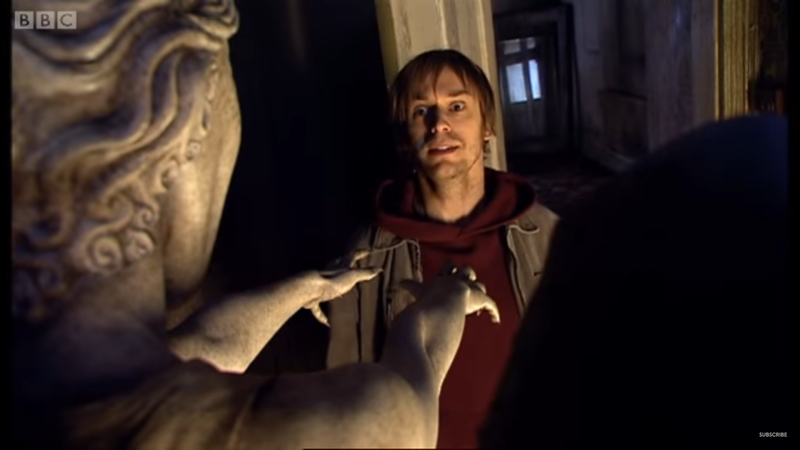 New Earth - Maybe - Return of the Face of Boe, and some funny bits, but kind of cheesy. Tooth and Claw - Skip - Many people like this one, but I wasn’t a big fan. It’s a bit too silly for my taste. It does explain the origin of Torchwood. School Reunion - Watch - Not essential, but it’s a very good episode, featuring a cameo by a Classic Who companion who will be important later in NuWho. If you’re interested in seeing a good Classic episode with Sarah Jane Smith, I’d recommend The Time Warrior or Pyramid of Mars. The Girl in the Fireplace - Watch - Not essential, but a lovely, lovely story. Great premise. Terrific villains. Another episode from Steven Moffat. Consistently turns up in top 5 lists. The Rise of the Cybermen / The Age of Steel - Essential. The Idiot's Lantern - Skip - Inoffensive, clunky. Doctor with goofy 50’s hairdo. Tennant overacting. Not worth the time. The Impossible Planet / The Satan Pit - Skip - A reasonably entertaining thriller - pretty dark. Inessential. Love & Monsters - Skip - The first two thirds of this are actually really good, but the ending’s awful. Rose and the Doctor are barely in it. Fear Her - Skip - Just bad. It was rated as the worst NuWho episode by fans, and for good reason. 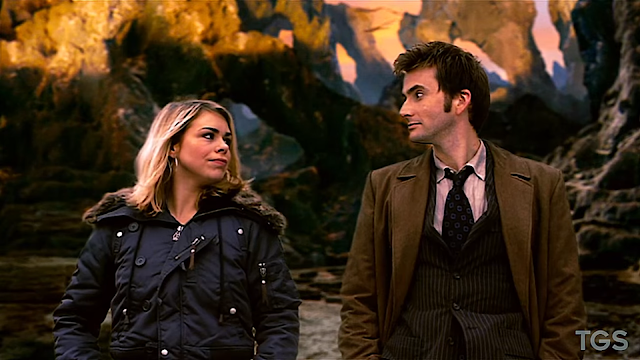 Army of Ghosts / Doomsday - Essential - Farewell to Rose Tyler. If you're invested in Rose (and co.) at all, you have to see this. Tennant's second season gets off to a slow start, but then delivers some series-best episodes and pulls off an interesting, eventful, kind of terrible, season finale. 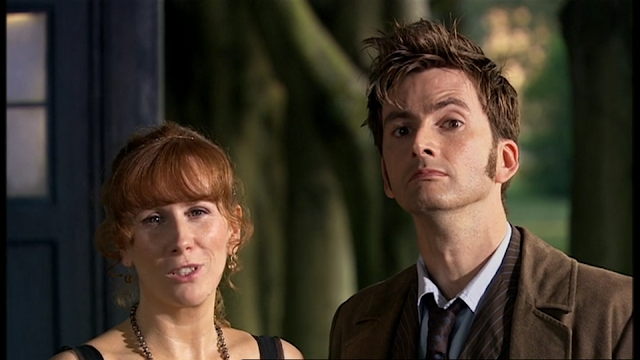 The Runaway Bride - Watch - Donna Noble is The Best. This isn't essential, exactly, but Donna's going to be back in series 4 as a full-time companion, so it's kind of important to see. Also, Ten has feels about losing Rose. 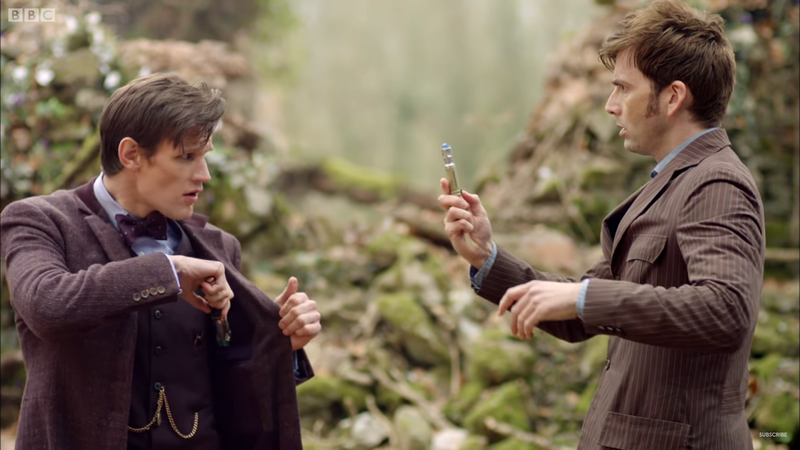 Smith and Jones - Essential - The Doctor gets to know his new companion. It’s an okay episode - you could probably pick up what was going on without it, but the companion introduction is fairly important. The Shakespeare Code - Maybe - William Shakespeare is hilariously flirty which is worth seeing. Gridlock - Maybe - Return of the Face of Boe, and some nice bits. The Doctor talks about Gallifrey, which is worth watching if you skip. Daleks in Manhattan / Evolution of the Daleks - Skip - Return of the pig men + Daleks! Ew, no. Andrew Garfield cameo’s fun, but otherwise nothing here worth your time. The Lazarus Experiment - Skip - Read the Wikipedia summary if you like, but there’s really nothing here. Mark Gatiss turns up, though. 42 - Skip - It’s okay, but doesn’t rise to anything great. Human Nature / The Family of Blood - Watch - One of the show’s best two-parters, featuring some very impressive heart-wrenching stuff from David Tennant. This started to turn me from a casual fan into a devotee. Not essential, but it does introduce an important concept that will turn up in the finale. And it’s just good. Blink - Watch - This episode is famously regarded as the perfect episode, and for good reason. An impeccable scifi tale. Utopia / The Sound of Drums / Last of the Time Lords - Essential - All three have essential plot stuff to relate, but the last one is so mind-bendingly awful that I’d just read the wiki summary. Want to watch a good Classic episode with the Master? I’d recommend Terror of the Autons or The Daemons. And finally the show achieves consistent excellence. There are a few mediocre episodes in this season, but no bad ones, and there’s nothing to be lost in watching every episode from here onward. Voyage of the Damned - Skip - An okay but inessential special - the okayness is outweighed by the inclusion of twoof the show’s cheesiest scenes ever. Fun fact though: You’ll be introduced to the character who will become the best companion of the Russell T. Davies era, in a scene you can watch here. Partners in Crime - Essential - The return of Donna Noble! The Fires of Pompeii - Watch - A solid historical episode which introduces the important concept of fixed points in time. Not strictly essential for this season, but good. Two cameos from actors who will, later on, play different, major characters. Also, ties in to an important plot point in series 9. Planet of the Ood - Watch - Not essential, but very good, and ties in a little bit to David Tennant’s last episode. One of my favorite songs in the show makes its debut here. The Sontaran Stratagem / The Poison Sky - Maybe - A decent pair of episodes which feature the return of old characters and some rather cheesy (in a fun way) villains who will be important later. Not essential. The Sontarans are only okay in this - for a better Sontaran episode, check out The Time Warrior. 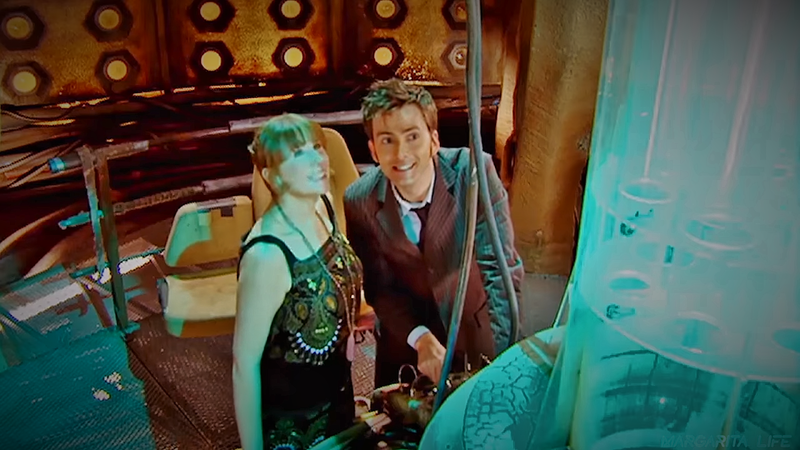 The Doctor's Daughter - Skip - Underrated, with some nice moments from Tennant, but not the best either. Two things to know. 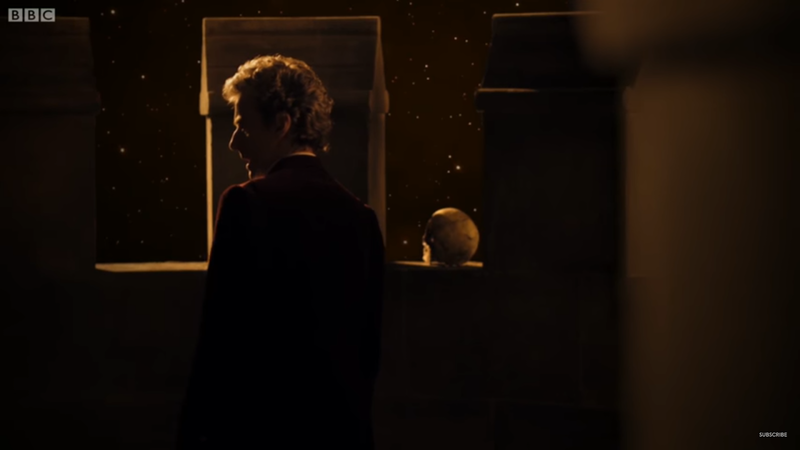 One: the title is a complete misnomer (boooo) and two: you find out something rather solemn and interesting about the Doctor’s past, in this scene. The Unicorn and the Wasp - Skip - If you like Agatha Christie and the murder mystery genre then it's worth a shot. Kind of fun, not special or essential. Silence in the Library / Forest of the Dead - Essential - Absolutely stellar television, this two-parter introduces one of my favorite characters in all of Doctor Who. It's really important to understand the arc of series 6. Midnight - Watch - Okay, this one’s just plain creepy, but it’s also good. Not essential. Want this sort of horror-lite Classic Who experience? Try The Caves of Androzani. 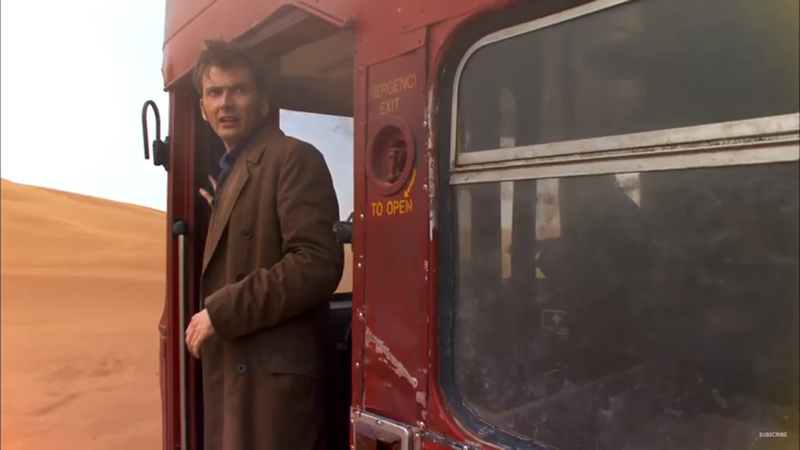 Turn Left - Essential - In some ways a Doctor-lite standalone, but it's very important in the episodes that come up, and a good character piece for Donna. The Stolen Earth / Journey's End - Essential - This brings to a conclusion most of the major arcs of the Russell T. Davies years. What are these? Well (“wuuuuhlll”), they’re four TV movies that function as a mini-season, with the companion-less Doctor living out his last days (hours? years?). 🌟The Next Doctor - Watch - Not in any way essential, but this one’s a lot of fun. Plus, David Morrissey is awesome. 🌟Planet of the Dead - Skip - It’s pretty forgettable. A prophecy spoken near the end turns out to be important in The End of Time but you can watch that clip here. 🌟The Waters of Mars - Watch - Not absolutely essential but important to understand where the Doctor is emotionally and mentally in the next episode. It’s a good, scary episode, too. 🎅🌟The End of Time Part 1 and 2 - Essential - David Tennant’s swan song...is...a little bit of a mess, but you kind of have to watch it if you've come this far. Bernard Cribbins is a true heart-breaker in these episodes and despite all the ridiculousness happening around him, he manages to bring genuine human emotions to every scene he has with David Tennant (who's also excellent). Oh, Matt Smith. You think you’ll hate him, but I promise you, you won’t. GERONIMO! The Eleventh Hour - Essential - Watch. It. The best first episode a NuWho Doctor has ever had. It introduces the new flavor of the show and it's sudden, dramatic improvement in production values. 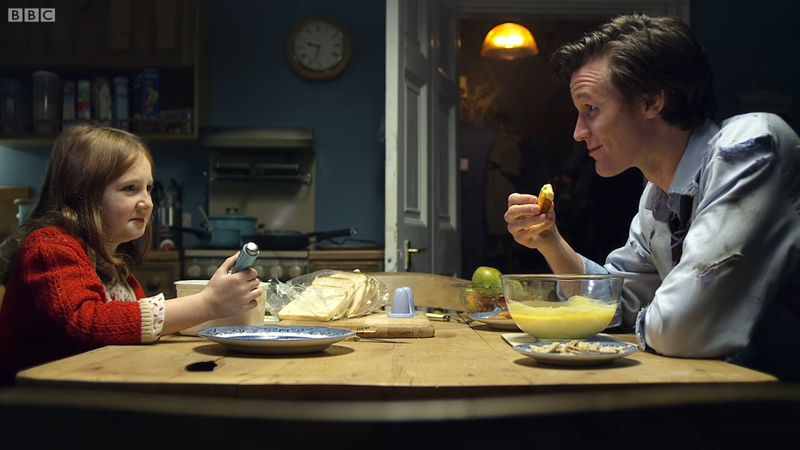 The Beast Below - Maybe - Not strictly essential, but a sweet story which makes good use of the show’s new budget and lets Amy and the Doctor get to know one another. Victory of the Daleks - Skip - Not bad, but not great, and not essential. Matt Smith really doesn't yet have a good handle on the Doctor here. Dalek reboot. Winston Churchill. Skippable. The Time of Angels / Flesh and Stone - Essential - Brilliant and probably essential. Return of a certain supporting character, who gets to meet Amy. Introduces key concept in season arc. Lots of character development. The Vampires of Venice - Watch - It's not that this is a particularly great episode, but it features the return of Rory, who is terrific, and some important character development. That said, you could, strictly speaking, still pick up what was happening if you skipped this episode. Amy's Choice - Watch - Again, not absolutely essential, but some quite significant character development. A good episode, to boot. The Hungry Earth / Cold Blood - Maybe - A decent, somewhat lackluster two-parter, but also possible to skip if you MAKE SURE to watch the last five essential minutes of the second episode here. Vincent and the Doctor - Watch - Not essential, but a great meditation on depression and despair. A poetic glimpse into the stormy mind of a great painter. The Lodger - Watch - A standalone with James Corden actually being funny. (Also not essential, but it ties into an episode next season which is also fun). The Pandorica Opens / The Big Bang - Essential -We get some answers and the first crazy-twisty Steven Moffat finale. Get used to those. Michael Gambon! Utah! Revelatory stuff! This season is heavy on mythology as the River Song story line really gets going and a parallel story with Amy that, well, spoilers. 🎅🌟A Christmas Carol - Watch - A delightful standalone Christmas episode. You don’t have to watch it, but it’s really wonderful. The Impossible Astronaut / Day of the Moon - Essential - Entertaining two-part opener. Also: the show is off on location in the great U.S. of A.! The Curse of the Black Spot - Skip - Pirates and stuff, but really not a huge effect on the season, and the story’s a bit mediocre. Hugh Bonneville guest stars. The Doctor's Wife - Watch - A lovely episode penned by the great Neil Gaiman. A top 10, maybe top 5 episode of the show. The Rebel Flesh / The Almost People - Essential - Technically, you only need to see the very ending to see the relevant plot revelation, but it's a decent story and I'm not sure the ending will really make sense unless you see the rest of it. A Good Man Goes to War - Essential - The mid-season finale. We finally find out who River is. Let's Kill Hitler - Essential - Don’t take it too seriously - it's probably not going to go the way you think. Night Terrors - Skip - Inessential, though well-constructed and fairly interesting. A basic episode. 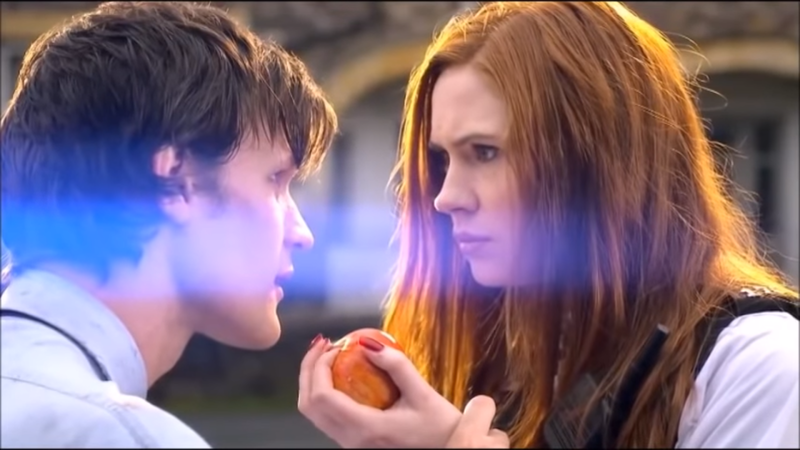 The Girl Who Waited - Watch - Also not essential, but a terrific gut punch of an episode focusing on Amy and Rory. The God Complex - Maybe - Not really essential, but shows some development for one character, and the last five minutes are sort of important to watch. Closing Time - Watch - Not essential, but hilarious, and a good set-up for the next episode. You’ll have to go back and watch The Lodger if you didn’t the first time. James Corden returns. The Wedding of River Song - Essential -What it says on the tin: though not exactly. It's the Doctor, could it really be that simple? Show’s beginning to feel a bit stale, but it’s still turning out good episodes. The second half of the season gives it a kick start and we’re back to smashing, exciting Who. Make sure you pay attention to where the Christmas specials go - they’re not a part of the season on Amazon, they’re usually off on their own page, and you have to seek them out to watch them. That’s important, because the mid-season Christmas special is an essential episode. 🎅🌟The Doctor, the Widow and the Wardrobe - Watch - Really quite a lovely episode. Not essential but recommended. Asylum of the Daleks - Essential - I have my issues with this episode, but it’s important to see. Dinosaurs on a Spaceship - Watch - Not strictly essential, but introduces an entertaining side character, Brian, and is a lot of fun. A Town Called Mercy - Maybe - Solid episode that doesn’t have a lot of impact on the rest of the season. Nice Magnificent Seven reference. The Power of Three - Skip - Features the return of Brian. Meh. All in all, skippable. 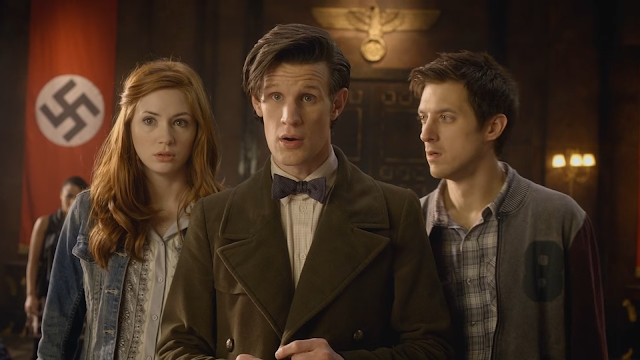 The Angels Take Manhattan - Essential - The exit of Amy and Rory. 🎅🌟The Snowmen - Essential - Features some important context for the new companion. It brings back a Classic era villain which you can see in the great Patrick Troughton serial, The Web of Fear. The Bells of Saint John - Essential - A smashing episode, providing a proper introduction for new companion, Clara. The Rings of Akhaten - Maybe - I liked this one. It’s a bit crazy, but I liked it. This one tends to divide fans, but I’m on the positive side. Matt Smith gets to do some capital-A Acting in one terrific scene. Cold War - Skip - Some nice bits with David Warner, and a scary we’re-trapped-in-the-ice-with-an-alien plot, but nothing really special happens here. Hide - Watch - A fun, scary yarn. Not essential, but good. Journey to the Centre of the TARDIS - Skip - Overall rather pointless - but read the Wikipedia summary, because one thing that happens is important in the finale. The Crimson Horror - Skip - Just plain bad. Subtlety has died a melodramatic death. Nightmare in Silver - Maybe - A good, if a bit overstuffed, episode, Neil Gaiman’s second. 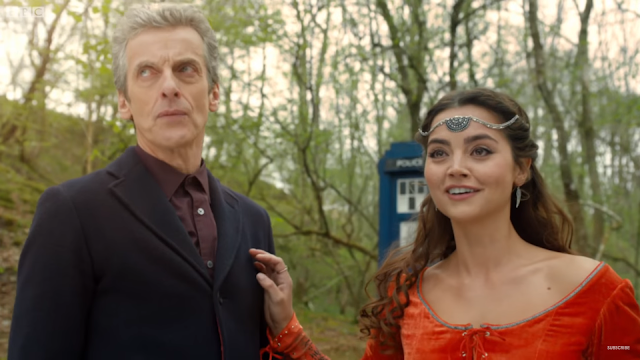 The Name of the Doctor - Essential - We wrap up the Clara-The-Impossible-Girl arc and deal with Trenzalore. Everything's setting up for the show's massive 50th anniversary extravaganza, so that's what the deal is with the final shot. Before you watch these specials, you should check out this minisode which shows the transition between the Eighth Doctor and the Doctor who fought in the Time War. If I were you, I’d also check out an eighth Doctor audio drama on Spotify first (I recommend The Chimes of Midnight), to get an idea of what he's like, but that’s optional. Here's a good skip/watch guide for the Eighth Doctor's audio adventures. Also, be sure to catch this fun Doctor Who spoof film (starring several Doctors, companions, and crew members), if you’ve got the chance. 🌟The Day of the Doctor - Essential - Obviously, one must watch this. There is no way one cannot. Besides being the Doctor Who nerd’s greatest gift, it is also an essential part of the story line going forward. It’s a bit overrated, but fun. 🎅🌟The Time of the Doctor - Essential - Aaaand farewell to Matt Smith. So, Peter Capaldi. A bit of an aimless first season with scattered moments of greatness. Capaldi certainly puts his distinctive stamp on the character. Deep Breath - Essential - Not the greatest Doctor intro ever, but Peter Capaldi puts in some solid work. Into the Dalek - Maybe - Half-baked. Introduces an important recurring character early on in this scene. Besides that, there's nothing essential here, though there's a tie-in from this story to Capaldi's regeneration episode, believe it or not. Robot of Sherwood - Maybe - Cheesy, but fun. Inessential. Capaldi gets to show his funny side. I’ll be honest: I love this one and I only put "maybe" on there because of peer pressure. Lots of people think it's another Gatiss flop. But I love it. Listen - Watch - A good, scary episode that focuses around that recurring character introduced early in the first few minutes of Into the Dalek. Time Heist - Skip - A middling bank robbery episode. The Caretaker - Watch - Lots of character development here. Probably essential. Kill the Moon - Skip - A surprisingly blatant pro-life theme coupled with some character drama makes this one interesting, but the utter corniness of the plot's scifi elements makes it skippable. Mummy on the Orient Express - Watch - A murder on...well, the Orient Express. Not essential, but excellent. If you skipped the previous episode, just know that Clara and the Doctor had a fight. Flatline - Watch - A funny, scary one-off with Clara taking the lead. Not essential, but really good. In the Forest of the Night - Skip - Not very good. Danny and Clara get a certain secret out in the open. Nothing of moment occurs. 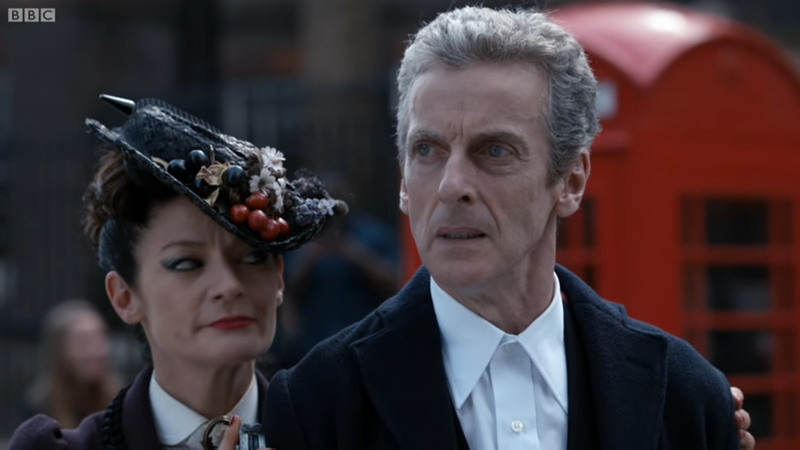 Dark Water / Death in Heaven - Essential -We find out what's up with Missy and the Doctor decides on who he is. Capaldi lightens up a bit and the writers get together a season arc that actually drives the story forward. 🎅🌟Last Christmas - Watch - A fun, intense Christmas meets Alien adventure. Essential in that it reverses the two lies that the previous installment ended with, but you can skip if you need to. The Magician's Apprentice / The Witch's Familiar - Essential - You might want to view this clip from Classic Who to give the story some context. Actually, I always recommend just watching that whole episode (Genesis of the Daleks). Under the Lake / Before the Flood - Maybe - They’re quite fun and intense, but haven’t a huge impact on the rest of the season. The Girl Who Died / The Woman Who Lived - Essential - If you haven’t watched The Fires of Pompeii from Series 4, you really should before you watch The Girl Who Died. The Zygon Invasion / The Zygon Inversion - Watch - I’m not a huge fan of the Zygons, so I was bored by the Zygon-heavy first episode, but by golly it picks up in the second half. Peter Capaldi dazzles. Worth it for his performance. Sleep No More - Skip - Awful. Face the Raven - Essential - Basically, you have to watch this one to at all understand what happens in the next two. Heaven Sent / Hell Bent - Essential - The Doctor faces an entirely unique puzzle in Heaven Sent, leading into the series finale. 🎅🌟The Husbands of River Song - Watch - A lovely, if lightweight River episode. It brings to a close her storyline. 🎅🌟The Return of Doctor Mysterio - Maybe - Slight and inessential, but rather fun. A few remarks about what happened after the ending of the previous Christmas special. Nardole is far more palatable here. 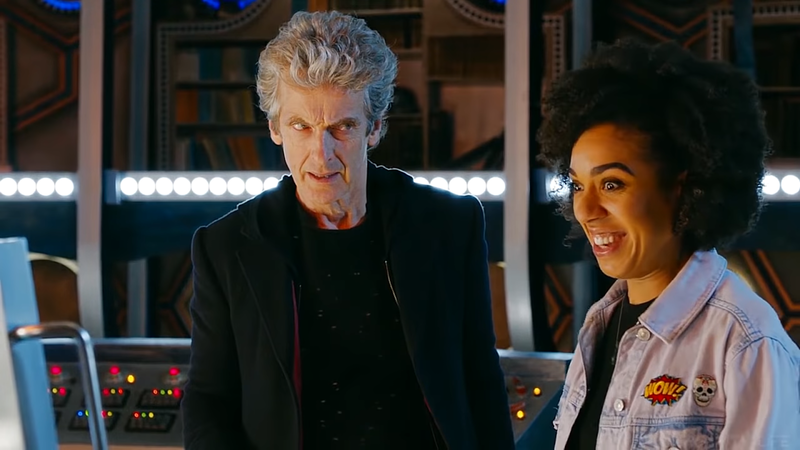 The Pilot - Essential - We meet a new companion, Bill Potts, whose warmth and naiveté make for quite a change from cerebral, fierce Clara. Smile - Maybe - Good - a bit half-baked, but fun. Bill and the Doctor get to know one another. 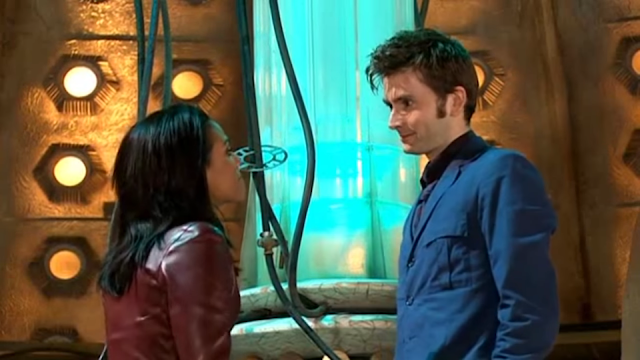 Thin Ice - Watch - A great episode and a crucial one for Bill to start understanding the darkness of the Doctor's past. Knock Knock - Maybe - A good haunted house mystery. Inessential. Oxygen - Essential - Proper scary. Also annoyingly woke. Essential? Ish. It depends on whether you want to skip the arc of the next three episodes, which resolve this episode's cliffhanger (if you skip them, just assume magic resolved it - this is Doctor Who). Extremis - Essential - So, this one has some important series arc stuff going on, but it begins the three-part Monk trilogy which, warning: doesn’t really impact anything else in the season. But it reveals the contents of the Vault, how it/he/she came to be in the Vault, and introduces a key phrase which will motivate the Doctor throughout the series finale. I'd say yes. The Pyramid at the End of the World/The Lie of the Land - Maybe - The Monk Trilogy - which begins with Extremis - kind of ends up being a big pile of nothing, so might as well skip it. The Doctor wins, all right? Empress of Mars - Skip - the traditional meh Mark Gatiss-penned episode. Not necessarily recommending it, but there’s a huge throwback to the Third Doctor serial The Curse of Peladon. 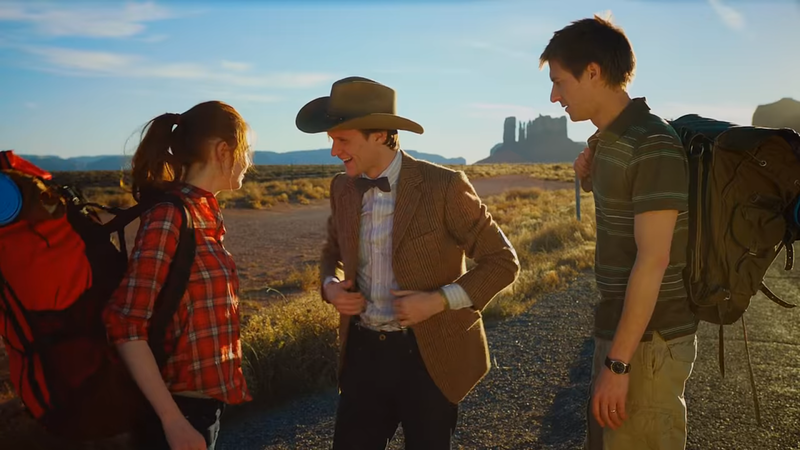 Do watch this essential clip, in which the Doctor finds out Nardole called in some help to pilot the TARDIS while the Doctor and Bill were on Mars. The Eaters of Light - Watch - Not essential, but good stuff, and more important Vault-related character development. 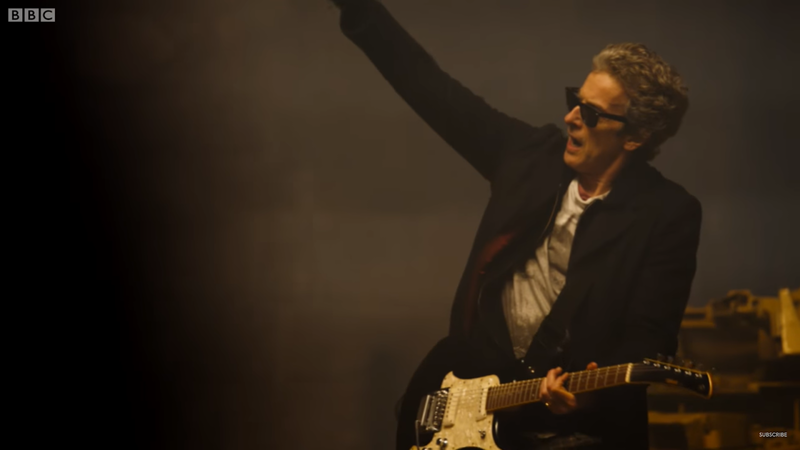 World Enough and Time / The Doctor Falls - Essential - Capaldi does some of his finest work in this two-parter, in what should have been his swan song. 🎅Twice Upon a Time - Watch - Essential...ish. 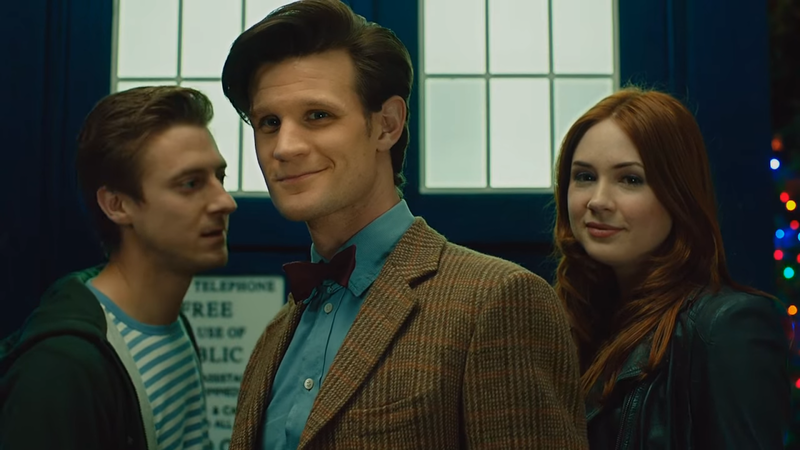 In a lot of ways, the only thing you really need to see is the regeneration scene itself, because this special is Steven Moffat treading water. And that's you caught up! You've now got some background for the new series. Be sure to follow me on Twitter to keep up with my reviews and thoughts on the new series. And for the other fans: let me know in the comments just how wrong this skip/watch list is. Hey i just want to say this has been a great help. It’s been invaluable over the last couple months since I decided to start watching. Terrific! I made this list for people like you. 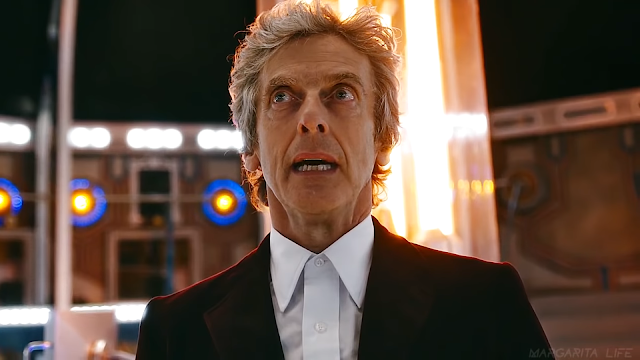 I almost have up when Peter Capaldi became the doctor, but your list helped me though and I didn’t end up hating him as much as I originally thought I would. Thanks!! !